Among other highlights from our exhibiting at the recent Oceanology International, Subsonus certainly confirmed to be a hit! 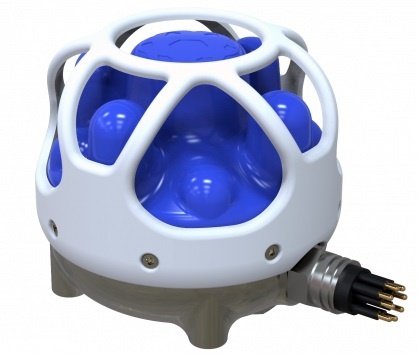 Subsonus is a revolutionary USBL underwater acoustic positioning system that is capable to provide high accuracy position, velocity and heading at depths of up to 1000 metres, all in miniature dimensions. It advances traditional USBL technology by tightly coupling it to an inertial navigation system for reliable and higher rate data output as suitable for controls, by featuring a state-of-the art hydrophone array for superior angular and range accuracy, by transferring navigational data acoustically without the need of a tether, by allowing one surface Subsonus unit to control several Subsonus subsea units. And there would be more new features to mention. Many new customers showed their interest and they immediately added new possible applications for Subsonus in their subsea surveying, or dredging, or subsea construction projects and similar. We are confident that Subsonus will set new standards in these applications soon and we are proud that IPP is bringing it to the European market as long-term partner of Advanced Navigation!